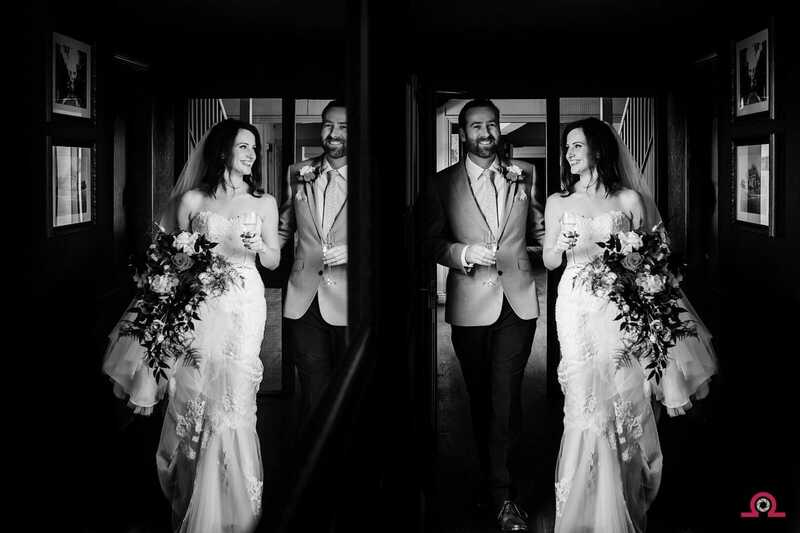 Poole Wedding Photographer - Reflections in the Antelope inn. It was a busy start to the wedding season this time last year with three weddings in one week to kick it all off. One of my favourite images from those weddings was this one as the bride and groom entered the wedding breakfast. The image was taken in a dark hallway in a Poole pub which could be overlooked but I spotted the fire escape, opened, giving a pool of light for the couple to walk through and a mirror just in front of it. A documentary wedding is about catching the moment but it doesn’t mean it isn’t carefully thought out. I saw this image in my mind before it happened and created the image while the day was in full swing. Happy Anniversary Ross and Emma, I hope you’re having a great time on your first Anniversary.